PERFECT UNIFORM LAYERS EVERYTIME ! 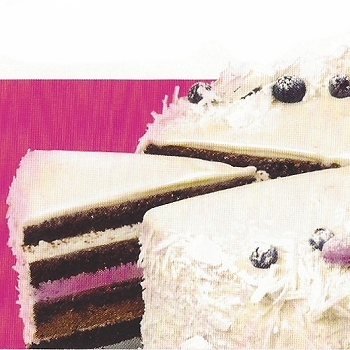 Layer Cake Stackable Ring System, allows the baker to achieve perfectly uniform cake layers and filling layers everytime ! Hottest New Product for 2018 ! 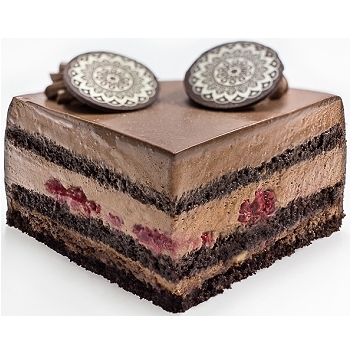 Formelo has created a perfect system for those who intend to delight their guests with magnificent cakes ! 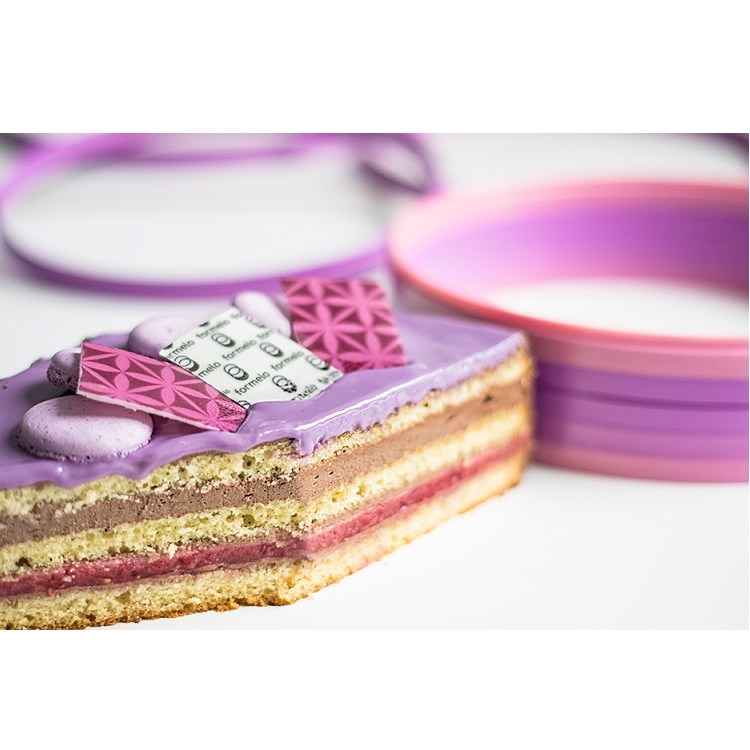 This innovative solution makes the difficult and time-consuming process of building a cake with uniform layers, easy and precise. 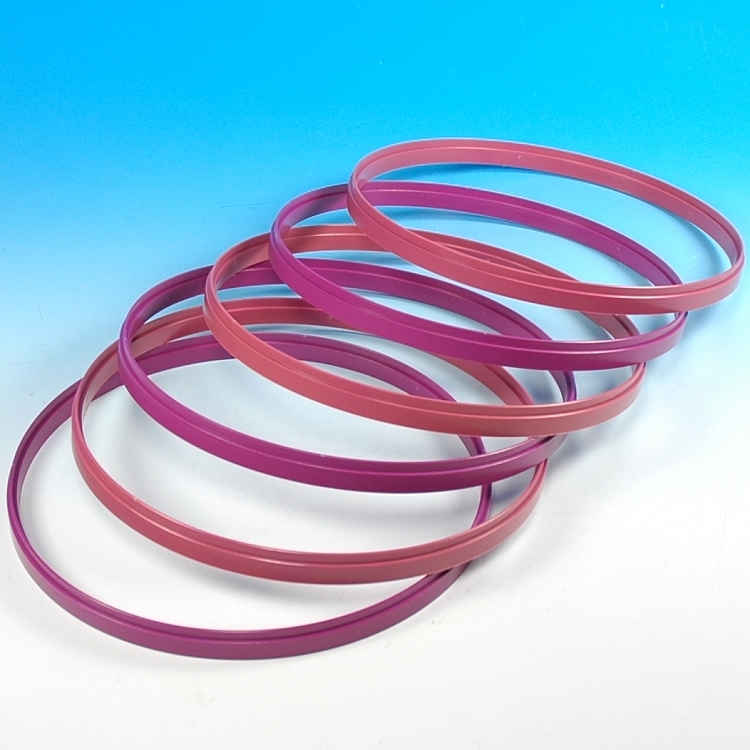 The ring system consists of six plastic rings, each 3/8" high (1cm), which easily snapped together. 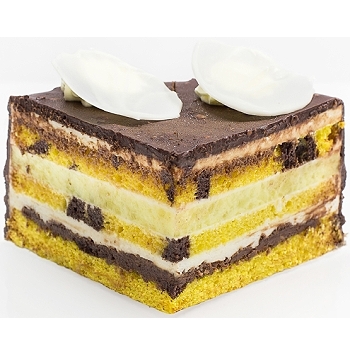 Just place the baked sponge cake inside the ring system and use a knife to cut off even layers of the cake after removing consecutive rings. Depending on the intended thickness of each layer, you can remove one (3/8" / 1 cm), two (13/16" / 2 cm). 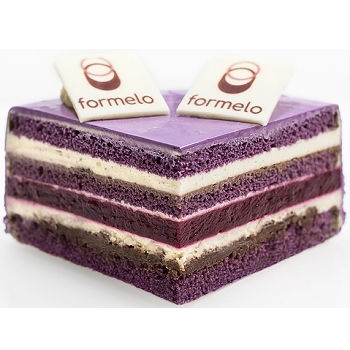 Formelo Ring System then allows you to build a cake, alternating layers of sponge cake and filling, cream and frostings, for perfect uniform layers. 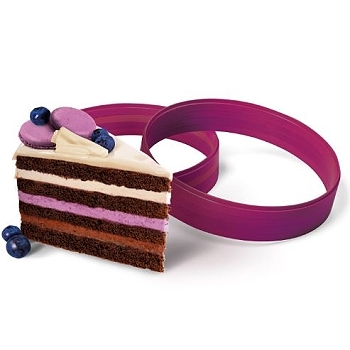 Adding even more plastic rings allows you to create even taller cakes! In addition, it also prevents the filling from leaking out. 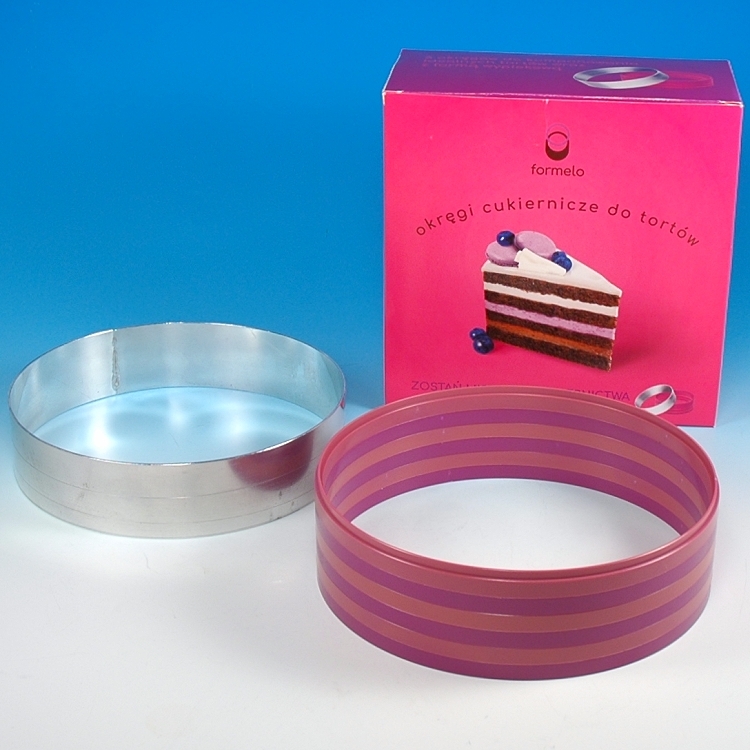 Use the Stainless Steel Cake Ring to bake the cake. 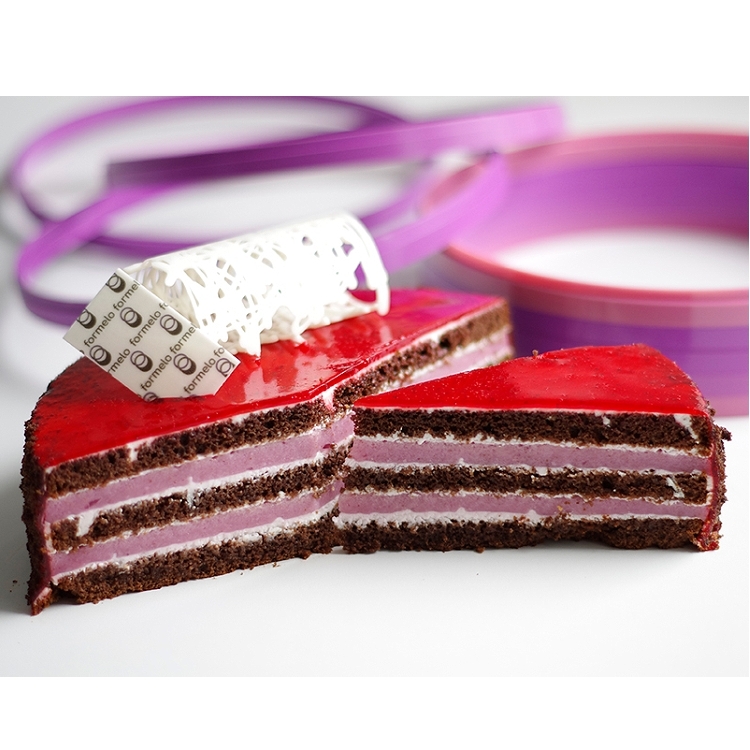 Cut off consecutive layers of the cake, measuring their thickness with the plastic rings. 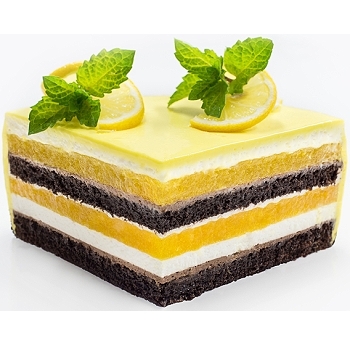 Assemble the cake by alternating sponge cake layer with layers of filling or frosting. 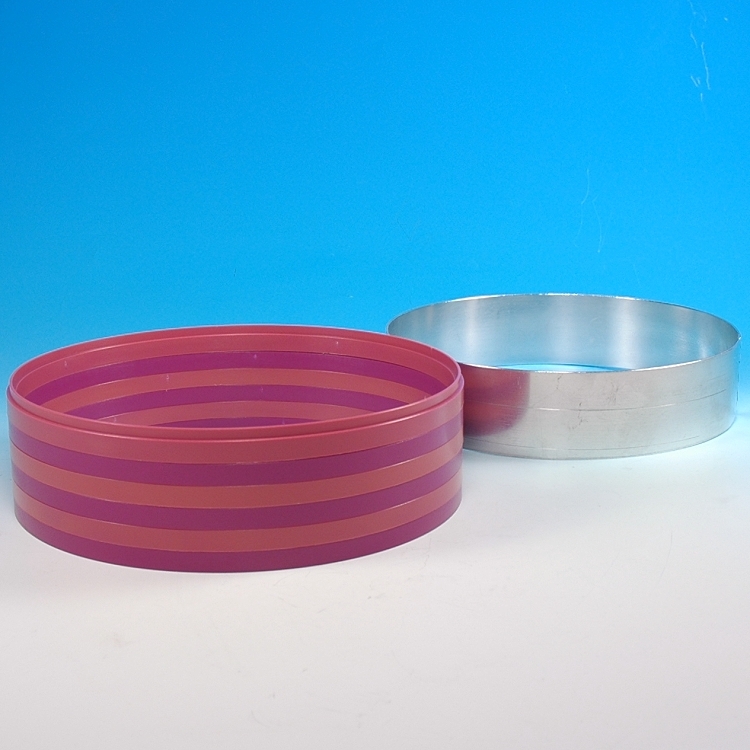 Aluminum Cake Ring for baking cake. Meaures 8 5/8" diameter, 2" height (22 x 5cm). Plastic rings cannot be used in oven. Can be stored in refrigerator and freezer. Made of a food grade plastic.